Mt. 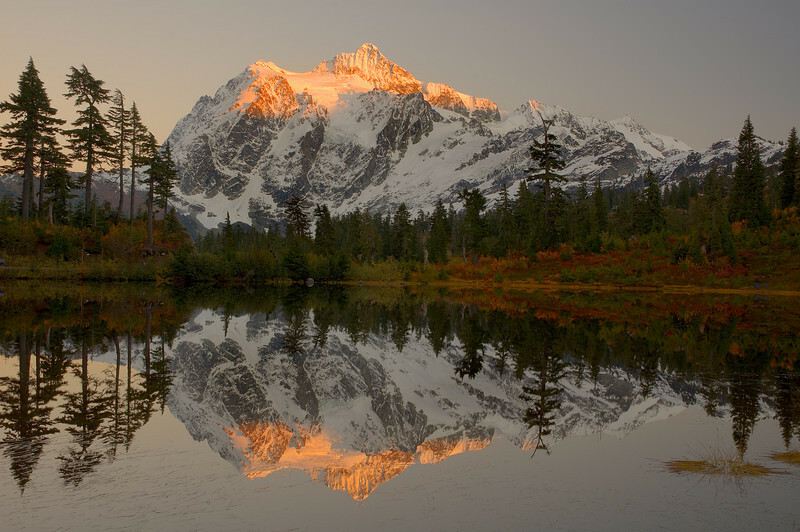 Shuksan lit up by alpenglow, Mt. Baker-Snoqualmie National Forest, Washington.